Luxury can be right around the corner. At our Jaguar dealer near Marlboro, NJ, drivers can get acquainted with the standout new and pre-owned models on the lot. Ray Catena Jaguar Marlboro is committed to helping drivers find the car of their dreams. You likely have a certain lifestyle and needs, and we’re here to be just a small part of that. Our sales team will discuss the purchase or lease of a Jaguar, while our finance and service teams will do their work to make your dealership experience fulfilling. Shopping for a new car is exciting, but there’s something about a Jaguar that heightens the excitement level a bit. Our sales team is just as excited about guiding you through the buying or leasing process, whether you’re looking at a new, pre-owned, or certified pre-owned model. Brand-new Jaguar models on the lot include the XE, XJ, F-PACE, and F-TYPE, all unique in their own right but known for their dynamic driving ability, lavish seats, and safety features. The infotainment features also keep you connected to the outside world when you’re inside the car. It’s worth your time to see the pre-owned and certified pre-owned cars on the lot, too. The Jaguar Approved Certified Pre-Owned Program is comprised of cars that have passed a rigorous 165-point inspection, along with a road test completed by Jaguar technicians. Any repairs or unexpected mechanical work is covered by a 7-year/100,000-mile limited warranty. Every drive is also covered by 24-hour roadside assistance. Our knowledgeable technicians are standing by, prepared to provide the maintenance necessary for your car. From oil changes to tire rotations to brake pad replacement, our technicians understand what goes into making your car run and what it needs to succeed. Routine maintenance is often the best thing you can do for your car. We want you to enjoy that special Jaguar experience every time you sit in the driver’s seat. Schedule your next service appointment with us online today. The township of Marlboro has been steadily growing over the years, and today, has a population of over 30,000 residents. While there are a number of historic sites in the region, this area is forward-thinking and always looking ahead to the future. This is a great area to raise a family, with diverse housing options, open spaces, and plenty of shops, restaurants, and local hotspots to visit. Leave the car behind for a while and head out on the Henry Hudson Trail, or take some swings at the Bella Vista Country Club on a crisp fall afternoon. The possibilities are endless, because there’s always something going on. 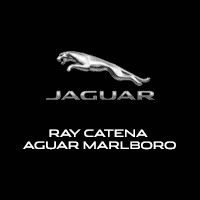 To experience a Jaguar for yourself, visit us at Ray Catena Jaguar Marlboro. We’ll be happy to see you here for a test drive, and can have the keys waiting in a Jaguar of your choice. Find your next luxury car at a Jaguar dealer near Marlboro, NJ, today.